Here are some of our accomplishments and points of pride for the 2013 - 2014 school year. Student Links support their peers in the classroom, in electives, and during unstructured times of the day. The goal of Student Links Program is to facilitate each student's experience of their school as a safe and caring community. 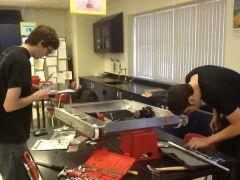 Robotics Club provided for students through a teacher written grant. Destination Imagination Teams represent DMS each year to address a building need. Annual Sixth Grade Science Fair sponsored by teachers and held each spring. The middle school is utilizing the Early Warning System, which uses quantitative data to focus on at-risk-students and provides strategic, research based interventions to support the success of those students. Students are able to take advantage of free after-school tutoring. 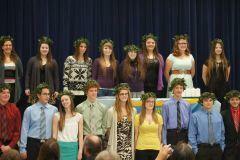 Six students were selected in 2013 as Shiawassee Scholars from Durand Middle School. The fifty top scorers in Shiawassee County, taking the SAT test, are named Shiawassee Scholars. All schools taking part in the Positive Behavior Support program, which allows teachers more time to teach and students more time to learn. 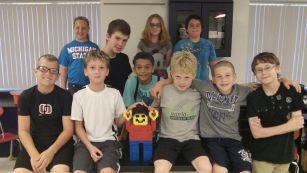 Middle School Peer Mentor Program - building positive role models, communication and service leadership skills as well as working toward a safer, more positive school environment. 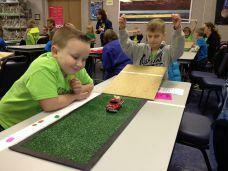 Teachers have received multiple grants for school equipment and initiatives. Over 50 Positive Behavior Rewards given out for students "On TRACK"
By hosting a Book Fair we raised nearly $450 in new books for the DHS library. Student government has set up a Christmas tree to collect hats, scarves, and gloves for families in need. Student government will have an ugly Christmas sweater day to raise money for members of the Durand community for the holidays. 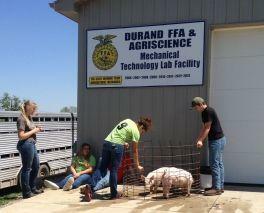 Austin Hall-GRAND CHAMPION MARKET HOG AT SHIAWASSEE COUNTY FAIR!!! 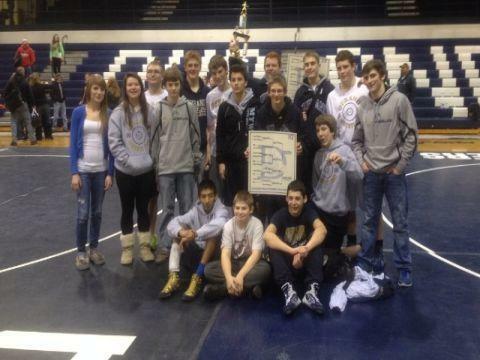 Durand's varsity wrestling team edged North Branch by 1/2 point, 145.0 - 144.5, to earn a1st place finish and championship trophy on Saturday at the Bob Mott - Durand Wrestling Invitational. 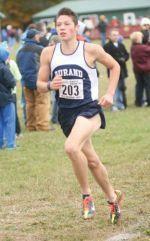 Durand had 9 individuals place in the top 4 for the day. Hank Richter (112) and Jordan Pierce (285) both earned 1st place in their respective weight classes. Walter Will (103) and Zack Adkins (140) finished 2nd place, while Silver Graham (125) and Jared Hatherill (135) finished in 3rd. Rounding out the scoring for the Railroaders, in 4th place, Nathan Elston (125), Austin Yager (130), and Nathan Johnson.The team will travel to Goodrich on Wednesday to take on GAC opponents Webberville and Mt. Morris. Action begins at 5:00pm. 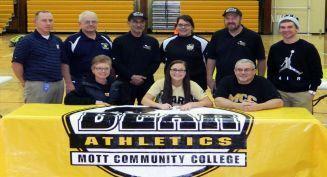 The 2014 recruiting class for the Mott CC softball team includes Durand Senior Madison Salvi. On Thursday night, Maddie signed with the Bears to play softball starting in 2015. 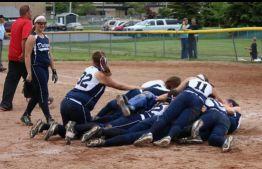 CONGRATULATIONS Maddie! !